For a few months, we’ve known that a direct-to-video sequel to Kindergarten Cop is in the works, but it’s been a mystery which humungous actor would accept Arnold Schwarzenegger’s 25-year-old lesson plan for interrogating students and beating up their parents. 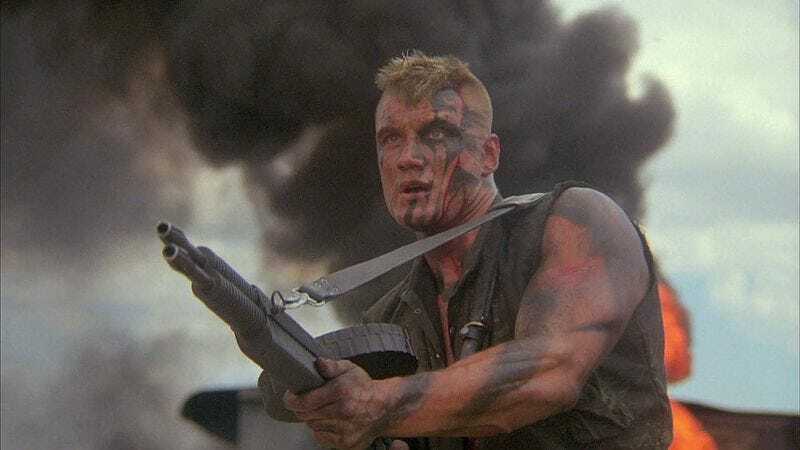 Now, some leaked set photos have confirmed that the main actor is none other than Dolph Lundgren, which we probably would have guessed if we thought at all about Kindergarten Cop 2. This whole endeavor seems predicated on the assumption that people who embraced the original in their childhood will get stoned one night and rent the sequel, but it’s more likely that they’ll see the title Kindergarten Cop 2, be reminded that they used to watch the original over and over, and rent that one again in order to feel actual nostalgia instead of the manufactured kind. But then there are reports that the sequel will set up a Kindergarten Cop TV series, so maybe they’ll get us all in the end.